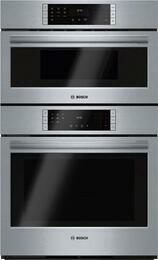 Double wall ovens are wall ovens that feature two cooking compartments. 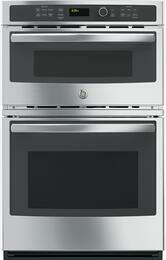 These built-in appliances are installed into cabinetry and help utilize limited kitchen space. 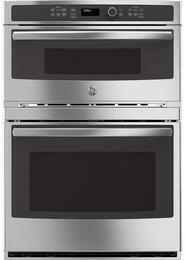 Single wall ovens are available in gas and electric fuel types. You won't break a sweat when it comes to creating an extravagant menu for a holiday dinner part. 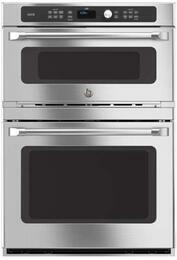 Each oven compartment can have up to a spacious 5.1 cu ft cavity, with a total capacity of 10.2 cu ft. 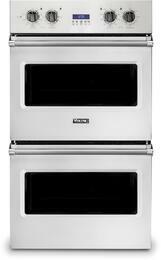 Some come equipped with a warming drawer as additional space to store finished appetizers and beverages at their ideal serving temperatures. 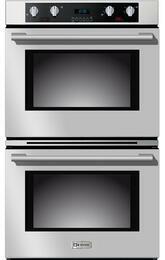 Double wall ovens are available in 24", 27", and 30" width sizes. 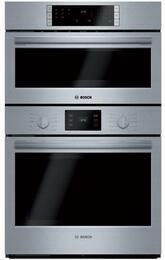 They can be installed to suit ergonomic needs that allows everyone to channel their inner chef. A few meet ADA compliance standards which have controls and operating mechanisms within a high reach of 48" and low reach of 15". 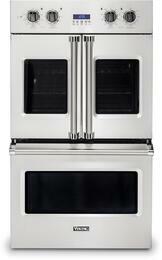 Most feature a drop down door, making it a breeze to load and unload a large honey-glazed ham. 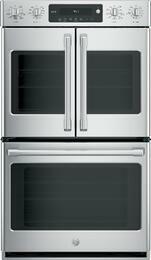 Some models include are French door style, adding a touch of elegant design to exceptional performance. 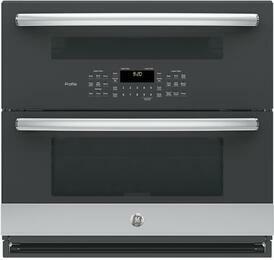 Enhance the cooking experience with double ovens that go beyond baking, roasting, and broiling. 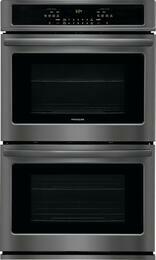 Some ovens operate as an oven/microwave combo which allows you to quickly cook microwavable favorites without needing an additional appliance. 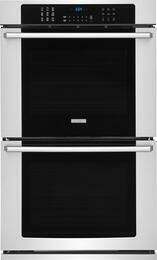 Hate the soggy or overly dry results of microwave cooking but don't have time to prepare a delicious meal? Speed ovens combine the benefits of microwave technology and a convection oven so you can have chicken cordon bleu in an instant. 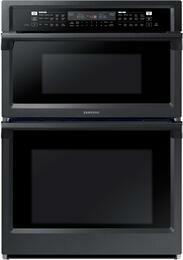 Add moisture and retain the nutrients of foods with steam ovens. Aftermath clean-ups will be the least of your worry. Many come equipped with a self-cleaning mode which uses high temperatures to easily loosen sticky residues. For light food spills, steam ovens feature a steam-clean mode which quickly removes deposits without the use of harsh chemicals. 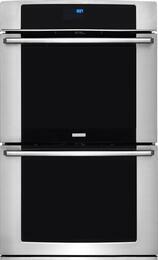 Select from a wide variety of finishes including black stainless steel, stainless steel, graphite stainless steel, black, white, blue, bronze, green, orange, purple, red, silver, slate, and yellow. 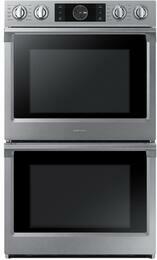 Some double wall ovens are available in a custom color for a personalized kitchen that stands out. 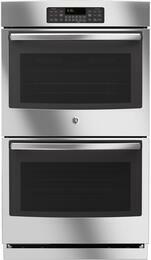 Find a double wall oven that's a perfect fit to your culinary arsenal from top brands including Thermador, Wolf, Jenn-Air, and many more.